Have you’ve spent weeks drowning in holiday brochures, on tourist websites, frantically Googling and seeking unsolicited advice from your married friends? Your perusing will likely have unveiled multiple pictures of rose petal strewn beds, champagne glasses and a sky high price tag. Mention the word ‘wedding’ and expect a few additional £0000’s to appear on screen. First things first, you need to decide if you’re going to take a mini moon after your wedding and do a bigger honeymoon later or if you’re going to go straight from your wedding to your honeymoon. Personally, as a soon to be mother of two practicality will likely mean due to childcare and costings we will have a short break as a family then plan a longer holiday at a more convenient time. Choosing where to honeymoon is one of the most difficult decisions you will face when planning the wedding. Decide how long you can go for, when and set a realistic budget. These play a part in the decision making process, but with so many amazing places in the world, you may feel like you will never whittle it down! The first question to ask is what do you want from a holiday destination? Ask yourself; City, beach or countryside? Hot or cold weather? One stop vs several? Adventure or relaxation? Or perhaps shopping, culture or adrenaline? It’s not just you. It takes two to agree on a honeymoon destination, I would encourage each of you to make a list of 3-5 top places you newlyweds would like to visit. I had a link to Utah vacation rentals sent to my email as a hint hint. You will find hundreds of articles listing the ‘TOP’ honeymoon destinations. They all favour different places for different reasons. If you don’t fancy the romantic allure of Italy or ice blue waters of Island destinations then why not consider destinations that are not considered ‘popular’. Having previously lived in America, my other half exalts the huge variety of holiday destinations in each state, city and secluded spot in between. Disney, Hawaii, Las Vegas may be among the most visited places by newlyweds but why not consider the underdog? Staying a town or two over from a better known place may result in much lower hotel and food costs. Think Thelma and Louise. 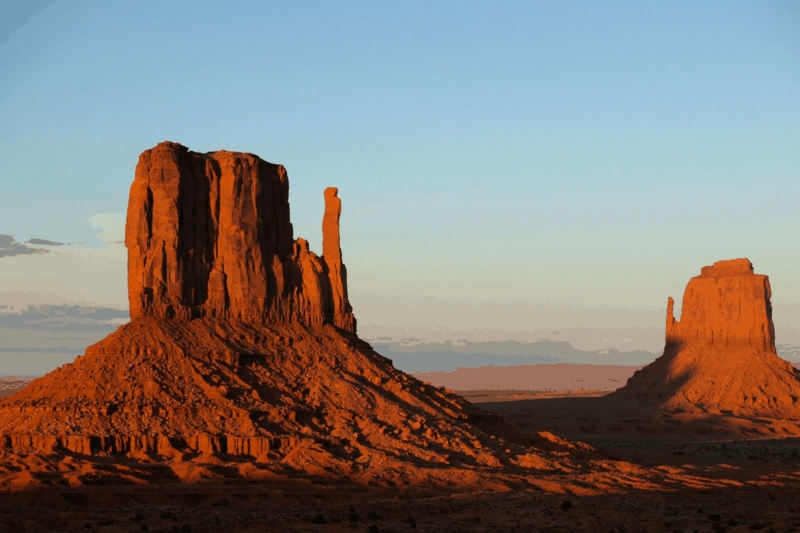 Located in the American West, labeled the Beehive state Utah is an area of intense natural beauty for the outdoorsy type, filled with a plethora of National Parks including kaleidoscopic canyons, five vast national forests, alpine vistas and ancient petroglyphs. A sedentary beach holiday is not for my partner and I, Utah is perfect for those looking for outdoor adventure: both scenic and recreational opportunities alongside breathtaking mountainous scenery. Utah is accessible to the world via Salt Lake City International Airport with 10 hour direct flights to London. It is a desert state so entertains four distinct seasons, hot and sunny summer, to a cold and snowy winter. This can be a state of extremes. Astonishing landscapes and backcountry adventures. The National Parks offer a range of different itinerates to add to your travel planner of the adventure seeking couple. Canyonlands, Arches, Capitol Reef, Bryce Canyon and Zion stretch across the southern half of the state. They offer river rafting, biking, hiking, mule riding and camping along with unique attractions and views. Utah’s cliffs and red limestone are perfect for climbing or bouldering. Moab is Utah’s ultimate gateway for outdoor adventure and Bryce Cannon offers dark skies for romantic stargazing. So you can find a beach! Consider spending your honeymoon camped next to a beautiful Utah lake. Beaches probably aren’t the first things that come to mind when you think of Utah, but there are many hidden oases in this desert state that are perfect for a beachside getaway. Why not visit Lake Powell in the South or the Bonneville Salt Flats? Some are perfect for fishing; others are great for boating and water skiing. The greatest snow on earth. Utah’s climate and elevation create the perfect powder for skiing and snowboarding. The northern area of the state is part of the Great Basin and Middle Rocky Mountains. Ten of Utah’s 14 ski resorts are located within an hour’s drive of the Salt Lake City International Airport. Deer Valley Resort has been rated the #1 resort in North America by SKI Magazine. Located just a half hour’s drive from Salt Lake, Park City home of the Sundance Film Festival, is a highly recommended ski town. Offering sleigh rides, snowmobile tours, and dog sledding in winter, mornings at the spa, ski-in distillery and luxurious resort lodging at all times of the year. Why not have a City break? Utah offers a world of adventure to the honeymooner! There are two main factors involved in planning the perfect getaway: making sure everyone has fun and experiencing things you don’t experience every day. So get planning! What makes a good honeymoon? What is it you look for and where did you go or where would you love to visit?